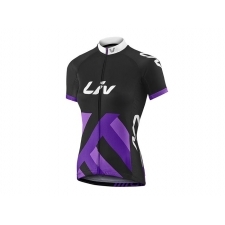 Get the pro cyclist look with the all new Liv Race Day Short Sleeve Jersey. 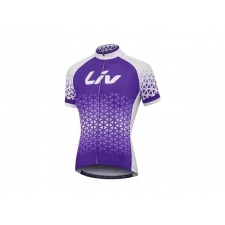 Constructed using lightweight and moisture wicking TransTextura fabric giving UPF30 sun protection, Race Day offers a high performance aerodynamic Race Fit cut so you can perform at your best and feel cool, dry and comfortable even on longer rides. Attentions to detail include a practical full length zipper, three rear pockets for storage and a silicon rear gripper to prevent riding up. To measure your hips wrap the tape around your hips at the widest point where your hip bone protrudes. 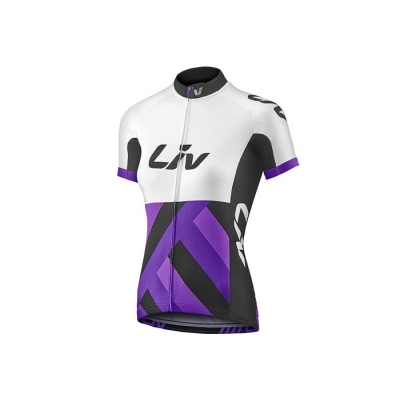 Buy your Liv Race Day Women's Short Sleeve Jersey, 2017, White and Purple from GiantBikeSpares.com.